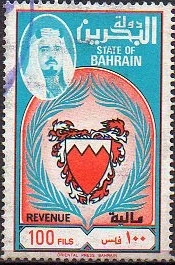 The Revenue section is now being completely updated in 2019. 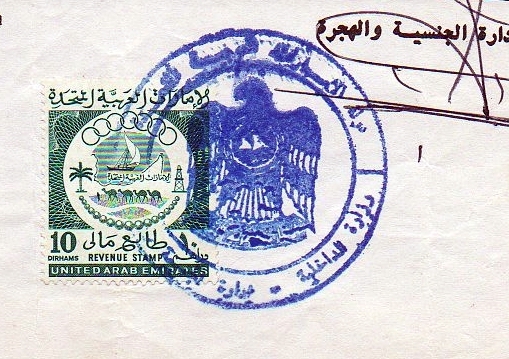 Because of the many Iraqi revenues, a separate page will be created for Iraq. 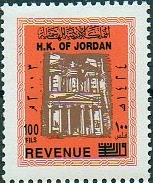 RP = Ross & Powell "Revenue Stamps of Iraq - 2002"
Mc = McDonald William T. "Revenues of Ottoman Empire & Republic of Turkey - 2nd Edition"
Dus = Duston Donald L. "French Colonies Revenues 2nd edition 2000"
RJT = R.J. Thoden "Catalogue of the Fiscal Stamps of Saudi Arabia 1916-2001"
JB = J.Barefoot 'British Commonwealth Revenues" 2002 Edition. 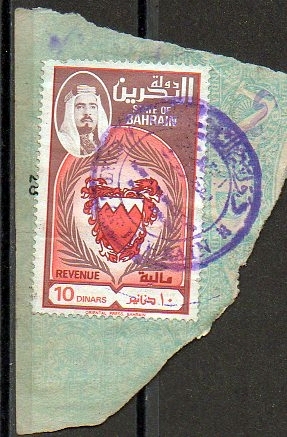 Prices are shown in GB pounds. 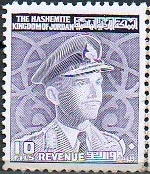 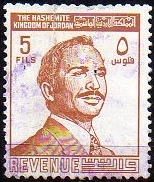 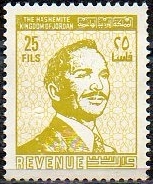 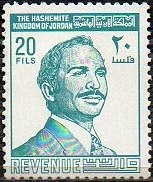 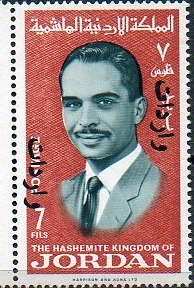 1960's King Hussein 1st series complete set with watermarks. 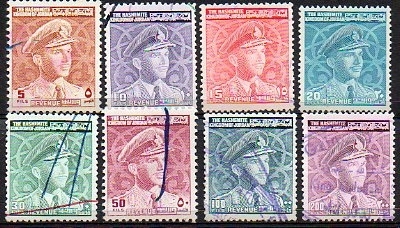 which are slightly larger than other values. 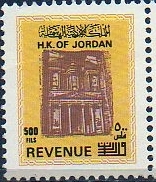 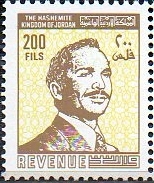 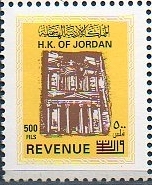 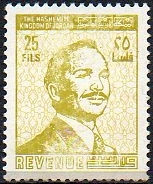 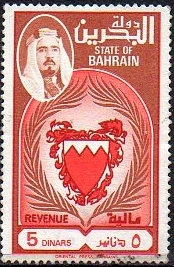 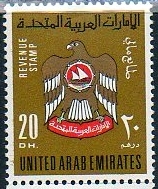 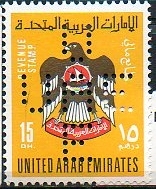 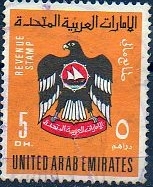 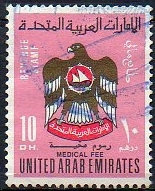 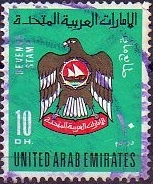 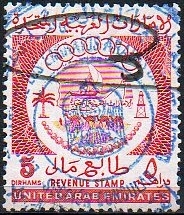 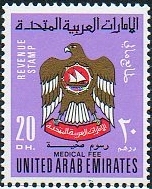 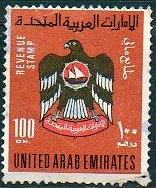 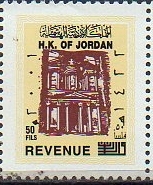 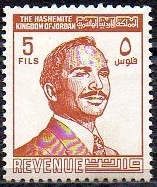 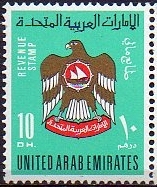 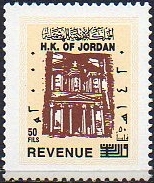 1966 7 Fils Postage stamp overprinted "Revenue" in Arabic..
and dates in Arabic & English.